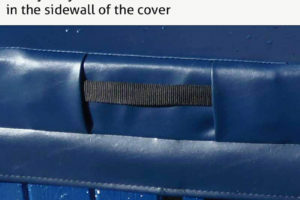 Choose a thicker cover if you live in an area that receives heavy snowfall, lots of rain, or if you need to support extra weight. 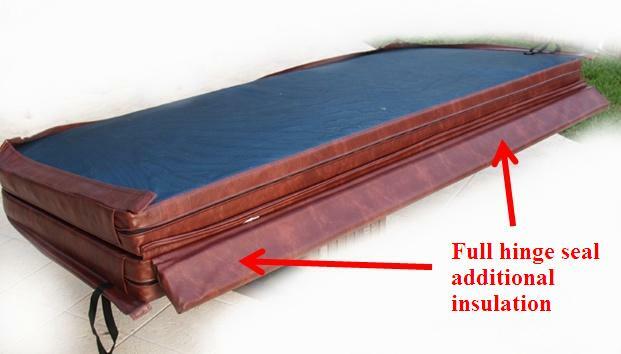 Flat non-tapered: If your cover will be indoors or protected from rain, at five inches thick and completely flat across, it provides more strength and insulation than a tapered cover. 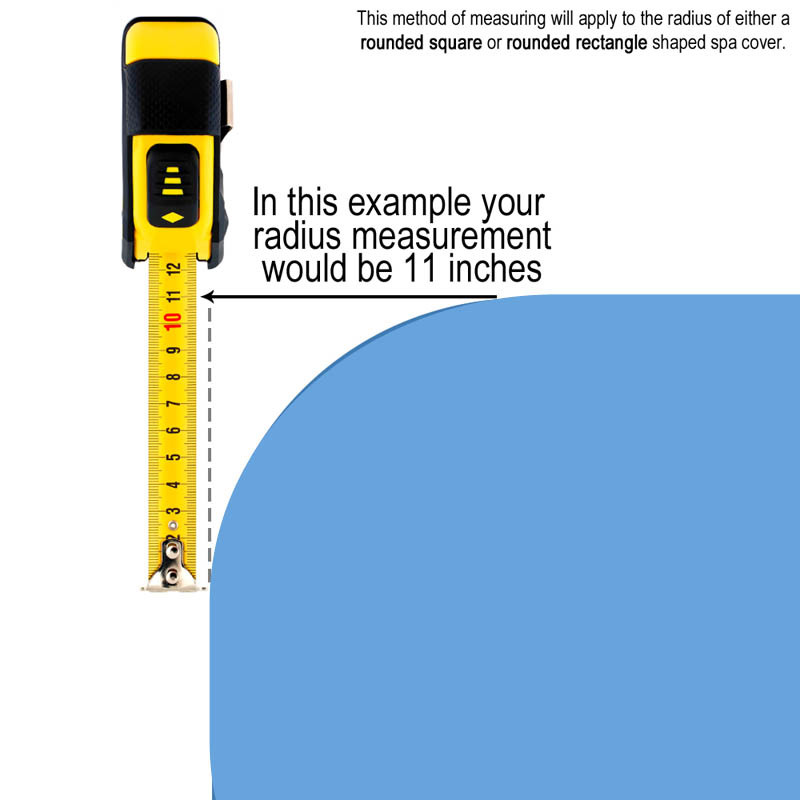 You entered a value greater than 100". This requires a custom oversize cover. Click here to visit the oversize cover order page. Need help with Dimension C? 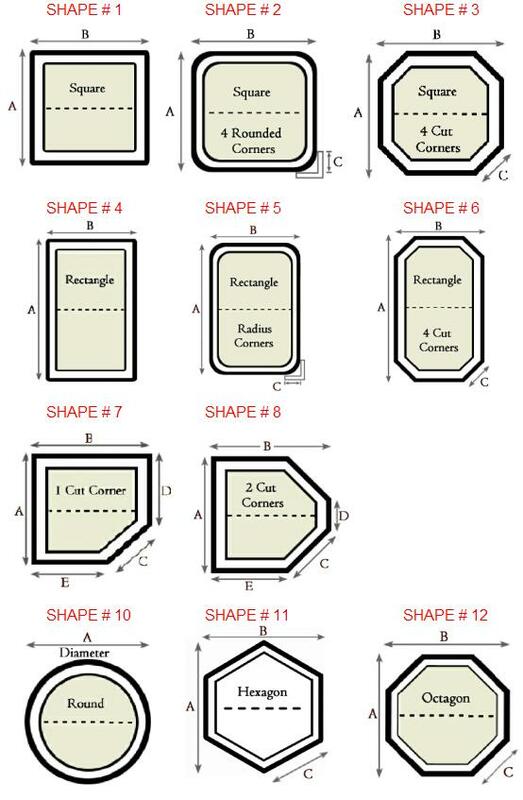 This image shows how to find the corner radius. 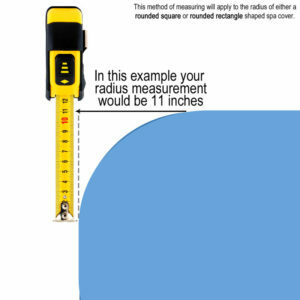 You can also refer to our measuring tips page or use this printable corner radius template to easily find the correct value. Normally, covers fold the largest side in half. 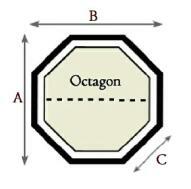 To change the fold to the shorter side, the B dimension, select it here. 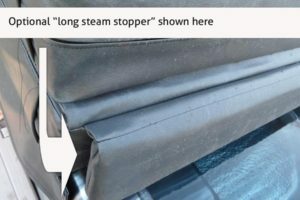 Choose a thicker vapor barrier to protect against the elements, and use the "long steam stopper" for extra insulation across the fold. 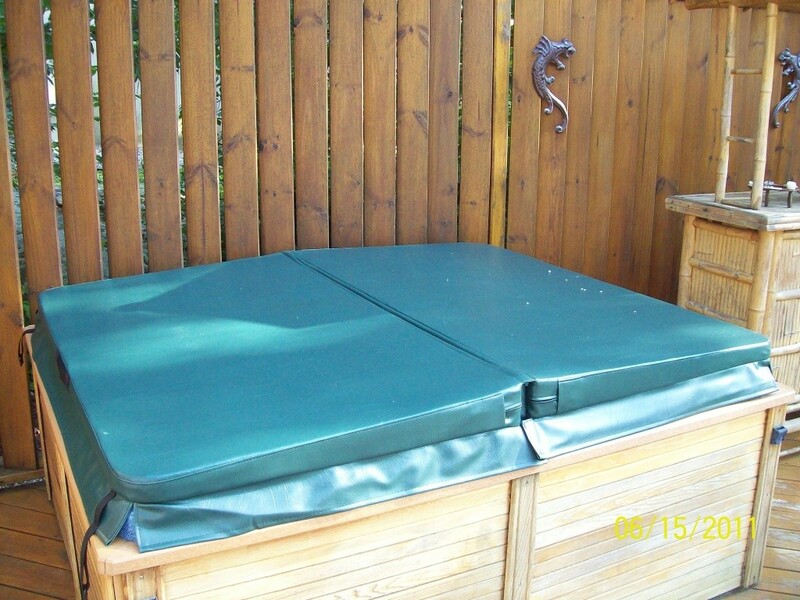 Extend the life of your hot tub cover by 12 - 18 months. 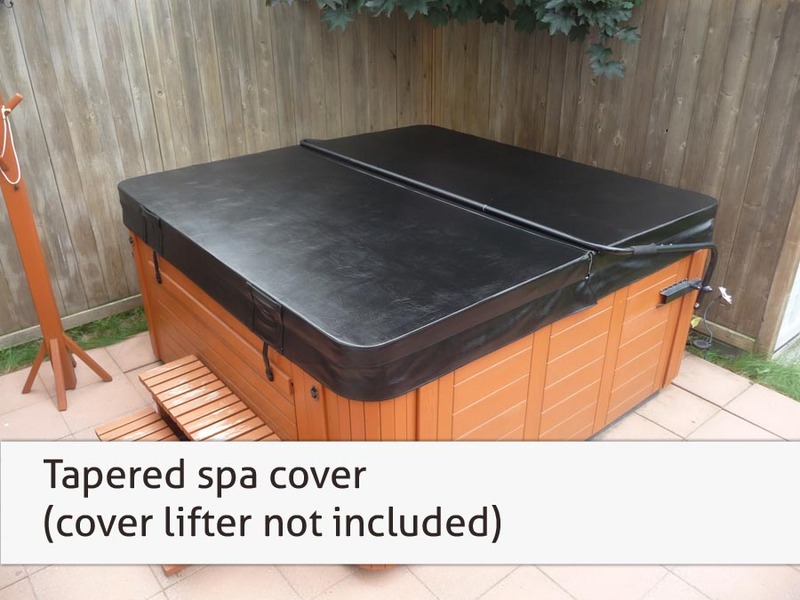 Most hot tub covers die from waterlogging due to vapor barrier failure from spa chemicals. Your cover will simply last longer! 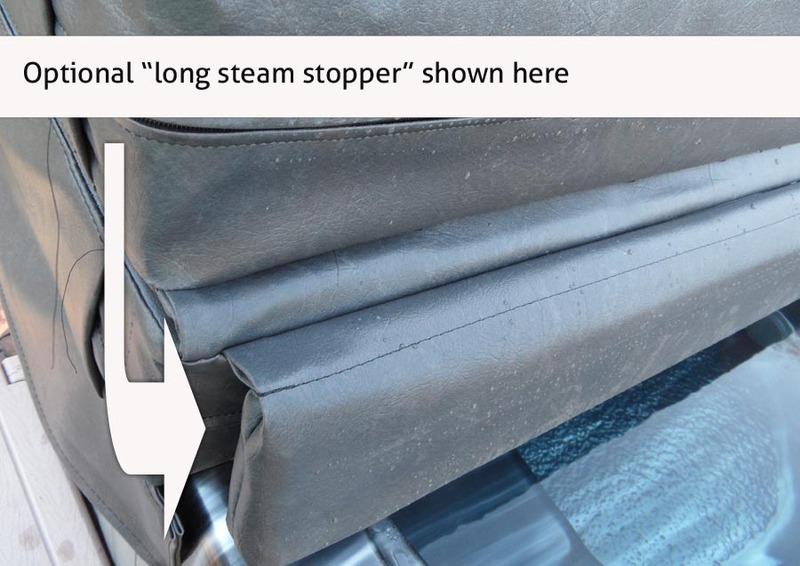 The long steam stopper extends across the full length of the hot tub covers fold for maximum insulation & significantly cuts heating bills. Add strength to support snow, animals, etc. so the foam does not break. 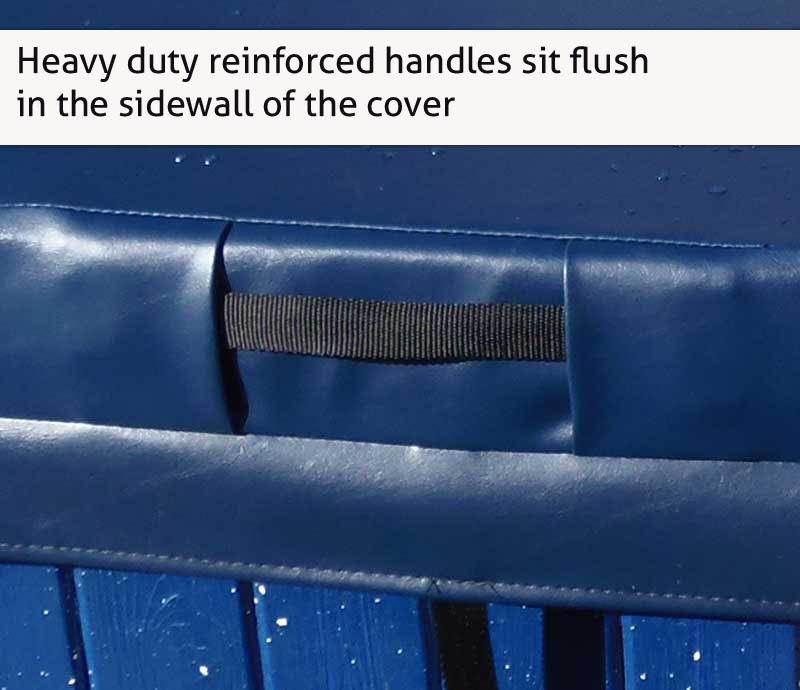 This upgrades adds a nylon strap inside the 2 ply vinyl fold/hinge for extra strength when the cover will be hung from a cover lifter. 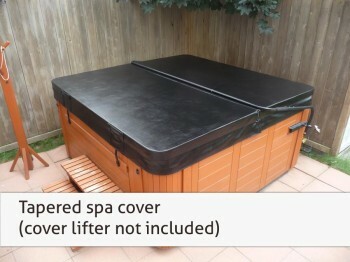 Please note: We can not accommodate cover lifters for Hot Spring covers with metal plates in the side of the cover. Note: Tie down straps are adjustable in length. 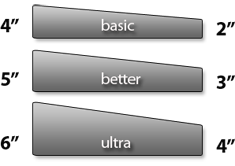 You must double-check manufacturer measurements for dimensions A, B, and C. These values are supplied to us as estimates but we cannot guarantee their accuracy. 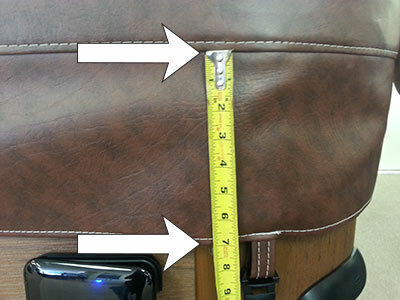 Because each cover is made to order, the best solution is always to measure the cover yourself. Congrats, you made it! 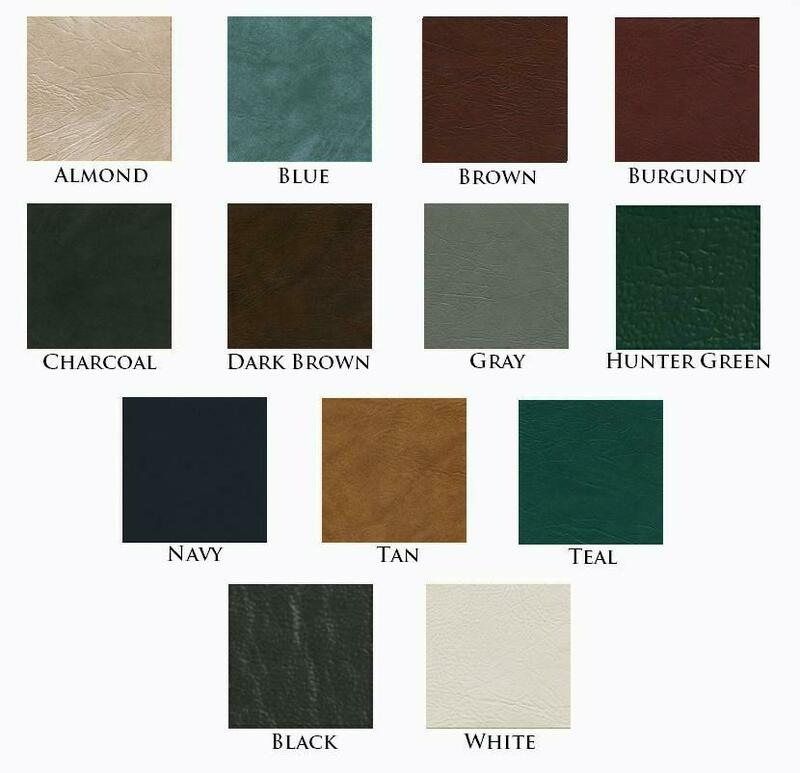 Your cover will be handmade to your order specs, right here in the USA! FREE shipping always included (to the lower 48 states)! Great product, was very happy with the help we received when ordering and the cover fit perfectly. Cover came quickly and was everything we wanted. Great help during ordering. Thanks guys! We went to the local spa shop and they wanted nearly twice as much for a cover! Came online and found this place, and with a little help from Samantha in support we were able to figure out the measurements for our Hot Springs spa, and order a new one. Very happy with the cover and the build quality. I was uncertain as to whether the manufacturer measurements were correct since my own were about 1″ larger, and after speaking with Cynthia she reassured me about everything so I placed an order. Needless to say I was still a bit concerned if it would fit right. Those worries disappeared when the cover came – it fit great. Thanks guys! Made in the USA Our covers are handmade here in the USA, and manufactured by a caring and devoted team with 20+ years of experience.Guaranteed Fitment We do our best to ensure that every cover is made to fit perfectly. 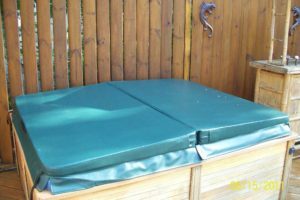 We follow up with every order to verify dimensions and make sure you get exactly what you need.Excellent Support Buying a new spa cover online is not easy, and we do our best to keep customers informed and help out during the buying process. That’s why we provide live chat support and customer service via our toll-free number.